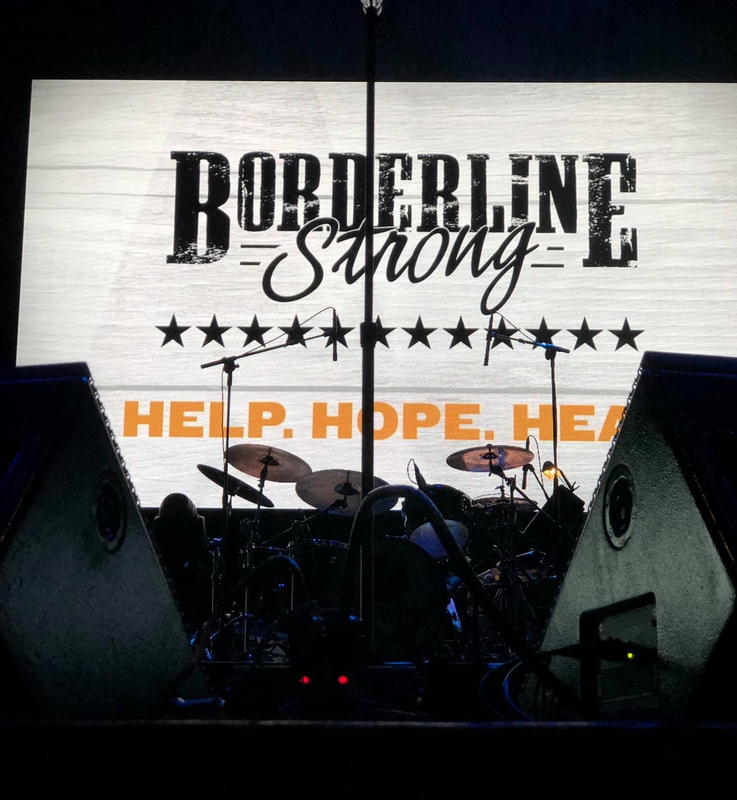 On February 11, 2019 we attended the ACM Lifting Lives Presents Borderline Strong benefit concert in Thousand Oaks, CA. The theater is not too far from the Borderline Bar and Grill, where tragedy struck in November 2018 when a gunman opened fire in the crowded bar, killing 12 and injuring several others. Since the incident occurred the country music community has come together and shown its support for the victims. The support has come from country music artists, as well as groups such as the Academy of Country Music via ACM Lifting Lives. The benefit concert was all about recognizing and bringing the local community together, as well as the country music family as a whole. Several of the artists that performed at the concert are from the surrounding areas and expressed their loyalty to the fans and those affected by the shooting at Borderline bar. Among the artists that performed were Tyler Rich, Runaway June, Jimmie Allen, Deana Carter, Morgan Evans, Charles Esten, Cassadee Pope, Gone West, and Trace Adkins. Each performer played 2 songs each, keeping the momentum going throughout the night. With such a talented group, I felt the audience could have enjoyed several more songs from each performance! Charles Esten hosted the event, announcing some of the artists to the stage, while a few were introduced by other celebrities, such as Casey Affleck and Arnold Schwarzenegger. Also included throughout the night were recorded videos of country musicians such as Tracy Lawrence. The country music scene is a very strong, tight knit community encompasses the artists and the fans. It was truly special to see the local community, which frequently visited the Borderline bar, come together for the concert. I saw a community healing and I believe this night of music helped! What a wonderful tribute. I am sure it was an honor to see this show.